It has been months of recruitment and you still have not found the perfect candidate to fill a position that your business greatly needs. Then, in walks Bobby B. Rockstar. He passes your interview and requirements with flying colors. You hire him, spend weeks training him, and teach him the secrets to your business. Three years later, he decides to quit and work for a competitor. 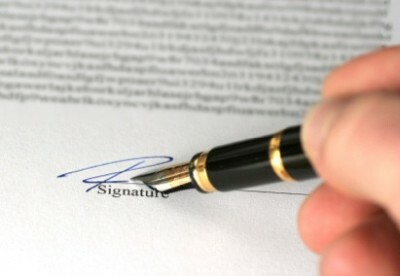 Pre-employment noncompete agreements prevent headaches when employees move on. Unfortunately, once Bobby decides to quit, he’s gone. The good news, however, is this: If he signed a non-compete agreement or clause before he left your employment, he can’t release any trade secrets or intellectual property to your competitors. What is a non-compete agreement? NCAs, as we employment lawyers call them, are also known as a non-compete clauses. They are contracts that protect trade secrets and limit where employees can work after they leave your employment. This protects important information that you have worked hard to obtain or create, such as client lists or strategies, as well as prevent an employee from working in the same market for a competitor for a specified period. Many times, however, noncompete agreements are not enforced because courts may view them as restrictive or vague. They also look at when you asked an employee to sign a noncompete. If you asked your employee to sign after they began working for you, the courts probably will decide it’s not enforceable. Creating a noncompete agreement that will protect your trade secrets can be difficult and time consuming. That is why you need to contact a business or employment attorney to help you create one or to look over the one you have to identify and tighten any loopholes in it. Our law office specializes in noncompete agreements and can help ensure that your employees will not run off with secrets that built up your company to what it is today. Even if you do not select our firm, you should still contact a business attorney today.